FACT CHECK: Is Texas impervious to the recession? In his announcement speech, Perry said the U.S. cannot afford four more years of “rising energy dependence on nations that intend us harm.” But U.S. reliance on foreign oil has dropped under President Barack Obama, and it is expected to decline again this year. The Energy Information Administration’s Aug. 9 “Short-term Energy Outlook” said U.S. net imports of liquid fuels — as the EIA calls oil and other petroleum products — dropped from 57 percent of total consumption in the United States in 2008 to 49 percent in 2010, “because of rising domestic production and the decline in consumption during the economic downturn.” EIA projects net imports “will decline further to 47 percent in 2011 before rising slightly to 48 percent in 2012.” Perry did not identify the “nations that intend us harm,” but in March we looked at a similar claim by Sarah Palin and found that from 2008 to 2010 net imports from the Middle East were down 24 percent. Those from Africa dropped 8 percent. Perry also incorrectly claimed in his speech that Obama’s economic policies “have given us record debt.” U.S. public debt as a percentage of the nation’s economy is at its highest level since World War II, but not at a record high. The national debt is best measured as “the amount of government debt held by the public relative to annual economic output,” according to the nonpartisan Congressional Budget Office. The public debt as a share of the gross domestic product stood at 62 percent last year, and CBO projects it will be even higher, at 69 percent, at the end of this fiscal year. That’s high, but it was even higher for seven straight years, from 1943 to 1950, peaking at 109 percent of GDP in 1946, according to the Office of Management and Budget’s historical tables. Last November, Perry exaggerated the financial problems of the Social Security system, when he claimed that “our kids are never going to see any benefit from it.” At the time, the Social Security Board of Trustees had projected that there would be enough money coming in from payroll taxes to finance 78 percent of promised benefits, even when the Social Security Trust Fund is exhausted in 2037. The board’s most recent report says the fund will be exhausted by 2036, but “tax income would be sufficient to pay only about three-quarters of scheduled benefits through 2085.” Perry would have been correct to say that today’s young workers are not going to see the benefits now promised unless payroll taxes are increased. In an Aug. 5 analysis, the CBO said the payroll tax paid by employers and employees would have to be raised immediately from a combined 12.4 percent to about 14 percent to keep the trust fund in balance for the next 75 years. Also in November, Perry exaggerated how much Texas’ share of Medicaid costs would increase as a result of the new federal health care law. 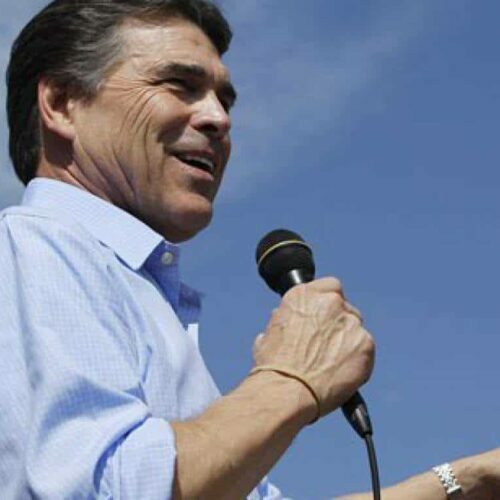 Perry said the new law would cost Texas “$27 billion more, over and above what we’re already paying over the next 10 years, $2.7 billion every year.” That’s not true, according to a May 2010 study by the nonpartisan Kaiser Family Foundation. The new law expands Medicaid eligibility to cover more Americans. But the federal government will pay most of the extra cost: 100 percent in the first three years, phasing out to 90 percent by 2020. Kaiser estimated that Medicaid enrollment in Texas will increase 63.5 percent by 2019. The total Medicaid cost for the state would be $4.5 billion — but that’s only 5.1 percent more, or $219 million, than it would have been without the new law. Bush appointee allows VA employee to be overpaid $41,000 and commute to D.C. from Ark.